LITTLE ARK OR UNI-ARK STONE KIT. 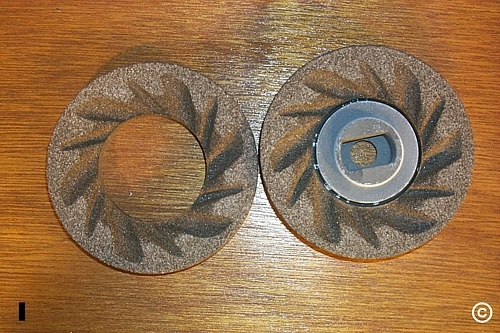 TWO PART REPLACEMENT CERAMIC STONES FOR EITHER THE LITTLE ARK OR THE UNI-ARK HAND MILLS.THIS PART IS AVAILABLE IN EITHER POLISHED ALUMINUM OR WHITE POWDER COATED FINISH. PLEASE SPECIFY WHEN ORDERING.